This time the masked vigilante “Bhavesh Joshi” aka #HarshvardhanKapoor is all set to fight crime and injustice. Harshvardhan Kapoor will soon be seen in his second film. Titled Bhavesh Joshi Superhero, the film is directed by Vikramaditya Motwane, and the first teaser along with graphic posters is out! 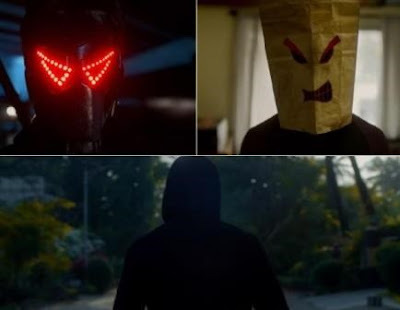 After teasing the audience with the quirky posters of Bhavesh Joshi superhero, the makers of Harshvardhan Kapoor starrer have unveiled the teaser of the film. The junior Kapoor dropped the teaser on his social media account. In the teaser, Harsh is shown as a common man who turns into a superhero to fight against injustice in the city. He trains hard and learns to be superhero rather than being born one, which is an interesting premise! The movie also stars Nishikant Kamat and Priyanshu Painyuli. The film marks the acting debut of Shreyah Sabharwal. The movie was shot at various locations in Mumbai. The film was delayed twice before it finally went on the floors last July, is presently in post-production. Bhavesh Joshi Superhero is directed by Vikramaditya Motwane and produced by Eros International, Reliance Entertainment, Vikas Bahl, Madhu Mantena & Anurag Kashyap. It is slated to release on May 25, 2018.